Snow or Sun, Visiting Upton Farm is Fun! 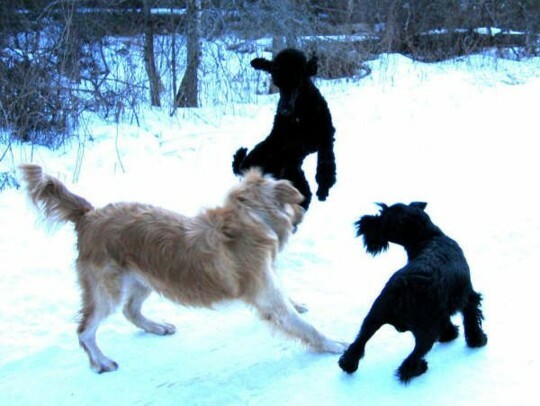 Sally, Sam and Eli love the snow — and, obviously, each other’s company — while visiting the Upton Farmlands. Thanks for the great action shot, Signe Andersen! This entry was posted on March 21, 2007 at 2:41 pm and is filed under Pictures, Raising Awareness. You can follow any responses to this entry through the RSS 2.0 feed. You can leave a response, or trackback from your own site.